Nedra Glover Tawwab, MSW, LCSW founded Kaleidoscope Counseling in 2011. In the Charlotte, NC area, Nedra is known for providing couples counseling and helping people with anxiety, relationships and boundaries. Nedra helps couples recover from affairs, improve communication, co-parent and rekindle lost connection. In addition to relationship counseling, she enjoys working with people dealing with long-term patterns of dysfunction in their family, problems from childhood affecting relationships or work, parents managing life demands, managing transitions and traumatic issues such as abuse, neglect, and/or abandonment. Nedra’s eclectic approach to counseling incorporates elements of mindfulness, cognitive behavioral, narrative, acceptance, and commitment, emotionally focused and positive therapy approaches. 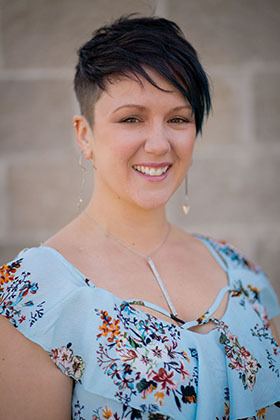 Nedra’s holistic style includes teaching how mind, body, and spirit connectedness is key to overall change and positive living. Nedra earned a Masters of Social Work degree from Wayne State University with additional training in working with couples. Nedra has over 10 years of experience counseling people who want to improve their overall functioning. Outside of work, Nedra enjoys spending time with her family, traveling, trying new restaurants and gardening. Tania Polidor, MSW, LCSW, specializes in working with adults who are experiencing grief and loss. Loss can be experienced in a variety of ways such as the loss of a pet, relationships, independence, or chronic illness. Tania provides comfort and support during the difficult moments in life by helping you develop coping skills and new ways of thinking. In addition to her grief work, Tania is passionate about working with individuals who experience depression, anxiety, and work/life stressors. Tania utilizes cognitive therapy where she helps people identify unhelpful thinking styles that contribute to symptoms and behaviors. Additionally, she uses mindfulness techniques such as grounding, meditation, breathing, and awareness exercises to help with depression and anxiety. 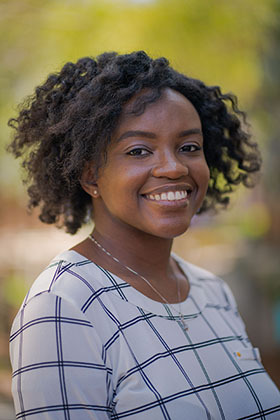 Tania graduated from the Joint Master of Social Work Program at the University of North Carolina at Greensboro and North Carolina Agricultural and Technical University in 2015, with a focus on Clinical Mental Health. Tania is a Licensed Clinical Social Worker in the State of North Carolina and is Certified in TEAM-CBT. She enjoys traveling to different states and countries when she is not working, and also enjoys spending time with her family, and trying new foods. Leighanne Jenkins is a student at Purdue University studying for her bachelors in Business and Human Resources. Leighanne is passionate about providing quality customer service. When Leighanne is not working, she loves spending time with her son camping and watching hockey. 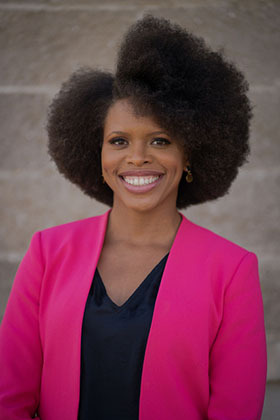 Destiny Ayers graduated from Johnson & Wells College in 2017. 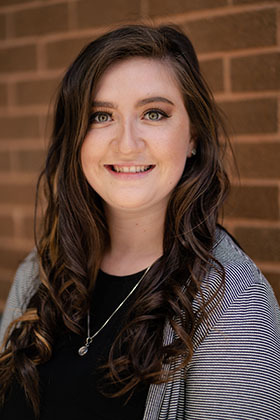 Destiny is enthusiastic about providing quality customer service and making sure that people feel welcomed at Kaleidoscope Counseling. She’s a cheerful greeter. Outside of the office Destiny enjoys reading, traveling and spending time with family. Additionally, she loves trying new restaurants.